Pictured with G. Kase (center) are 2017 Kase Program interns Grant Eshima, Stephanie Doi, Kenneth Kitahata, Keith Eshima. SAN FRANCISCO – The Japanese Cultural and Community Center of Northern California announces that applications are now available for the 2019 Kase Nikkei Community Scholarship Program. 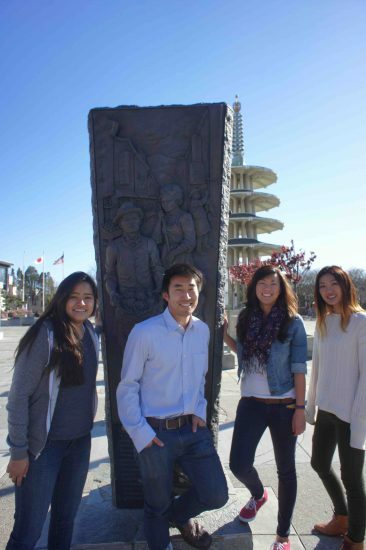 The Kase Program offers students a $5,000 scholarship to support their college education as well as an opportunity to intern at and support the work of the JCCCNC, a community nonprofit organization located in San Francisco’s Japantown. Participants will gain professional experience, enhanced skills in various areas, and personal development and guidance during an 11-week summer internship. The goal of the program is to support the development of the next generation of community leaders. 2012 Kase interns in Peace Plaza: Sara Matsumoto, Casey Ikeda, Miya Yung, Lauren Morimoto. The Japanese American community has a vibrant history spanning more than a century and over several generations in the United States. Japanese Americans have the tremendous task of defining and addressing the needs of the present community to ensure its future vitality. Participants will also take part in the statewide Nikkei Community Internship (NCI) Program while interning at the Center. Interns gain valuable experience in community service, cultural preservation and networking with various community members. One day of each week is reserved for interns to visit Japanese American organizations and meet with community leaders to expand their personal knowledge of available services, resources, opportunities and issues the organization may be facing. 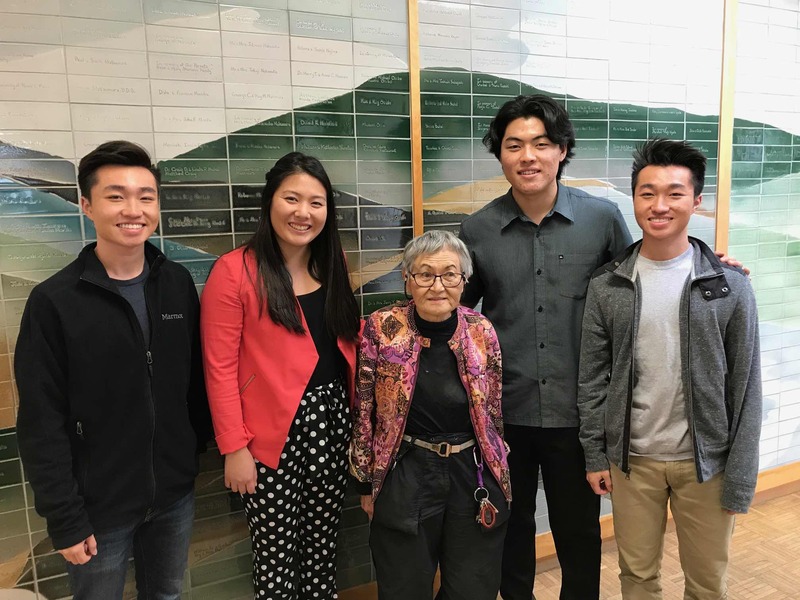 • Japanese ancestry is not a requirement but a strong background of involvement in the Japanese American community is preferred, as well as a desire to learn about Japanese American culture, heritage and the San Francisco Japantown community. • To be eligible for the 2019 program, the applicant must be a continuing college student in fall or have recently graduated, and be 18 years of age at the start of the program (birth date on or before June 11, 2001). • Up to five participants will be selected based on application, letter of recommendation and interview. • Applications are due on Sunday, April 14. The Kase Program application is a two-step process. After initial application and letters of recommendation have been received, qualified applicants will be invited to a personal interview and participants will be selected by April 30.